Future global wheat harvest is likely to be reduced by six per cent per each degree Celsius of local temperature increase if no adaptation takes place. 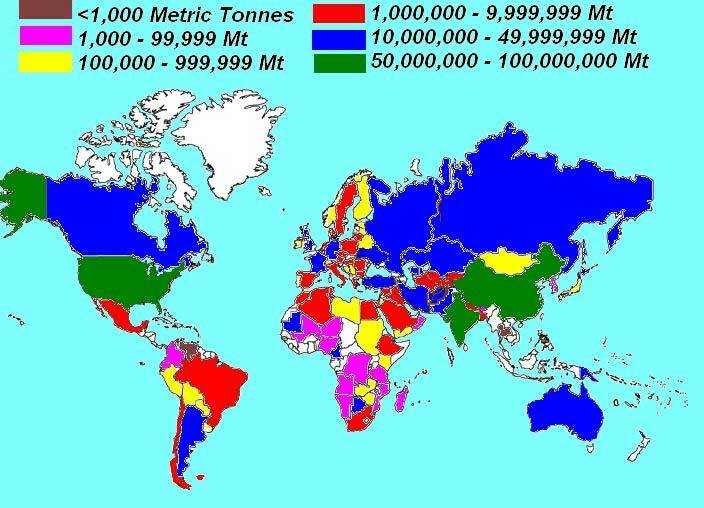 Worldwide this would correspond to 42 million tons of yield reduction, which equals a quarter of current global wheat trade. Wheat plays an important role in feeding the world, but climate change threatens its future harvest. Without adaptation, global aggregate wheat production is projected to decline on average by six per cent for each additional degree Celsius temperature increase. Worldwide this would correspond to 42 million tons yield reduction for one 1°C global warming. This result has been generated by an international research consortium to which Natural Resources Institute Finland (previously known as MTT Agrifood Research Finland) substantially contributed. The results were published online in the high impact journal Nature Climate Change. The researchers found out that in response to global temperature increases, grain yield declines are predicted for most regions in the world. Considering present global production of 701 million tons of wheat in 2012, this means a possible reduction of 42 million tons per one degree Celsius of temperature increase. – To put this in perspective, the amount is equal to a quarter of global wheat trade, which reached 147 million tons in 2013. In addition, wheat yield declines due to climate change are likely to be larger than previously thought and should be expected earlier, starting even with small increases in temperature. – Therefore it is essential to understand how different climate factors interact and impact food production when reaching decisions on how to adapt to the effects of climate change, points out Prof. Dr. Reimund Rötter from Natural Resources Institute Finland. In the study, the researchers systematically tested 30 different wheat crop models against field experiments in which growing season mean temperatures ranged from 15 °C to 26 °C. The temperature impact on yield decline varied widely across field test conditions. In addition, year-to-year variability increased at some locations because of greater yield reductions in warmer years and lesser reductions in cooler years. – Increased yield variability is critical economically as it could weaken regional and global stability in wheat grain supply and food security, amplifying market and price fluctuations, as experienced during recent years, says Professor Rötter. April 16, 2019 - Highest-ever wheat yield expected The Tribune IndiaRuchika M Khanna. Tribune News *Service*. Chandigarh, April 15. The granary of India, Punjab, is expected to have the highest-ever wheat production this year. April 17, 2019 - Farmers devastated after hail, rain damage crops in Pakistan gulfnews.comThe storm spoiled wheat and maize crops in the Punjab province.